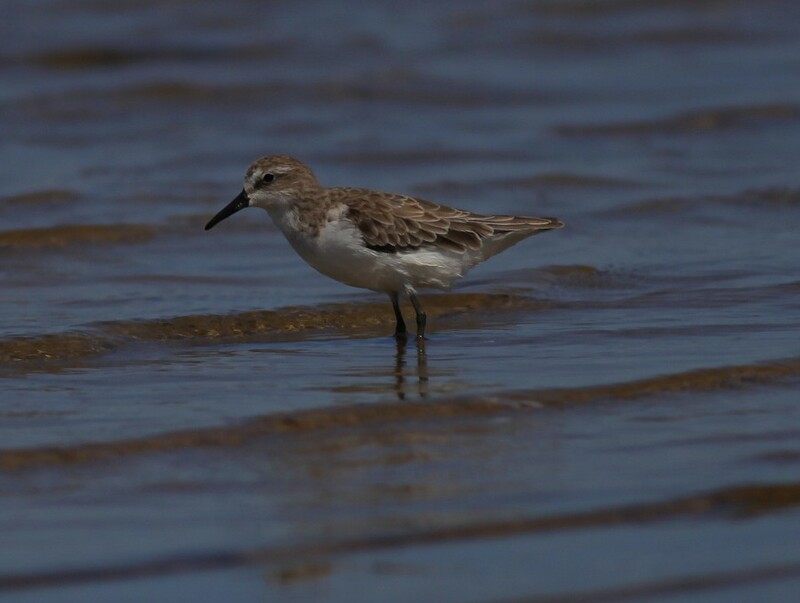 The Semipalmated Sandpiper (Calidris pusilla) is a small shorebird, most commonly seen on migration along the coastlines of the eastern United States. 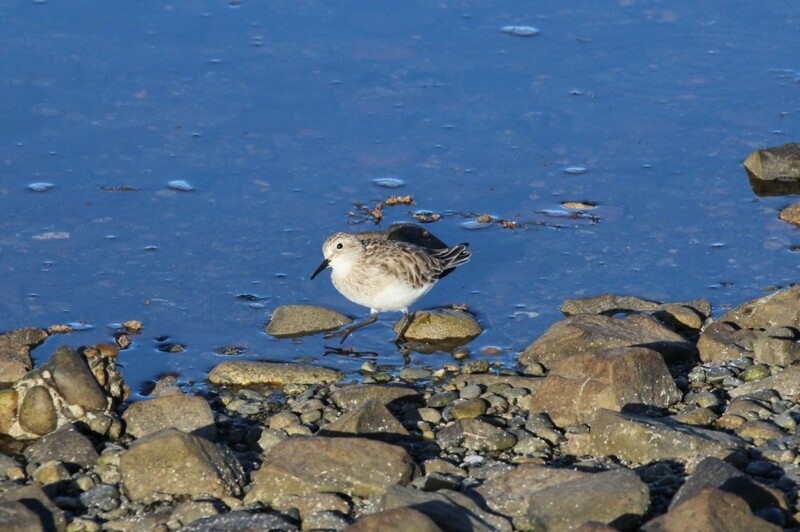 It was historically one of the most widespread and numerous shorebird species in the Western Hemisphere, breeding across the North American Arctic tundra, but major population declines have been documented in the core of the nonbreeding range in northern South America. Breeding populations have also declined in the eastern North American Arctic, but appear to be stable or increasing in the central and western Arctic. To help understand what is causing the declines and work toward conservation of this species, we set out to track migration routes and stopover sites using light-level geolocators, a relatively new technology which determines the bird’s position on earth by measuring the length and timing of daylight throughout the year. The major challenge to use these tags is that you have to catch the bird once to put on the geolocator, and then you have to recapture the same bird the next year to retrieve it, which requires finding the same bird again in the vast arctic tundra. Luckily, they tend to return to the same breeding areas the next year. Our large group of 18 partner organizations worked collaboratively to carry out the study across the entire North American Arctic from Nome to Hudson Bay, and we attached 250 geolocators to birds by mounting expeditions to 8 different field sites. Our field crews faced challenging conditions, working in the Arctic where the weather is always unpredictable and where both Grizzly and Polar Bears regularly visit field sites. 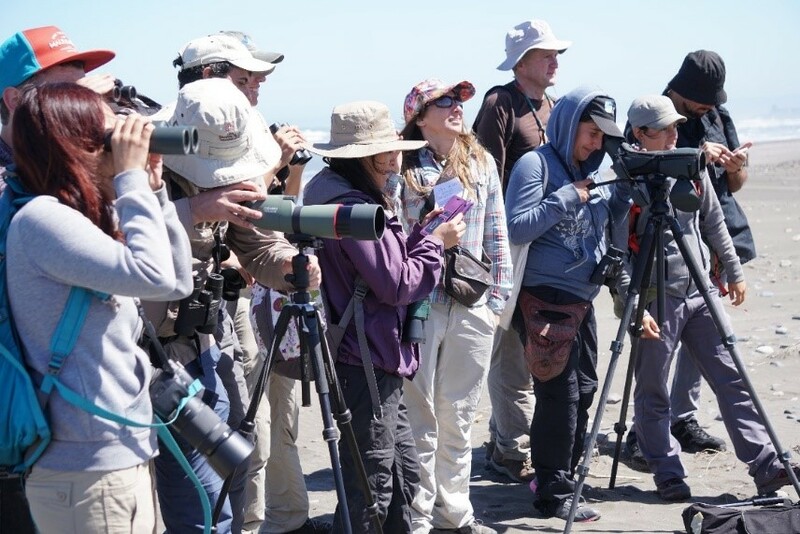 We repeated expeditions the next year to each site, and recovered 59 of the units by recapturing birds. The treasure trove of data showed migration routes and stopover sites from the entire year in the life of each bird, and showed that birds breeding in the eastern Arctic wintered in northeastern South America. Birds from eastern Alaska and far western Canada wintered from Venezuela to French Guiana. 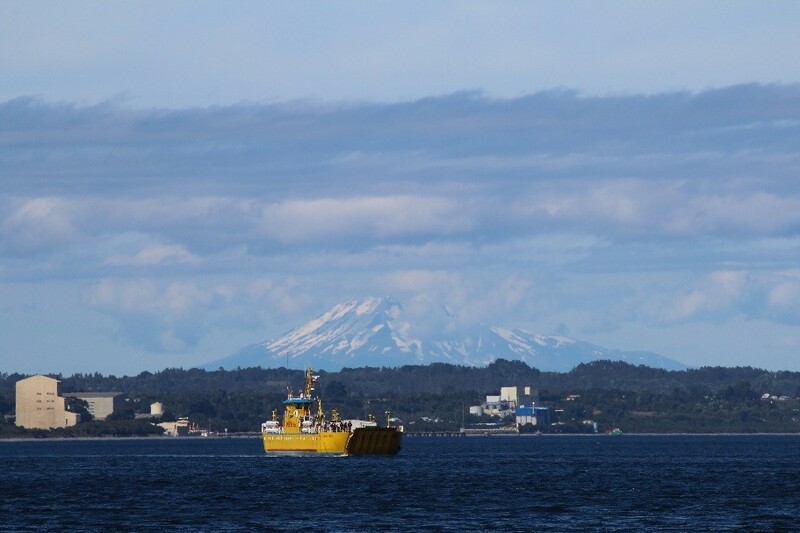 Central Alaskan breeders wintered across a very wide range from Ecuador to French Guiana. Birds that bred in western Alaska wintered mainly on the west coasts of Central America and northwestern South America, outside the nonbreeding region in which population declines have been observed. 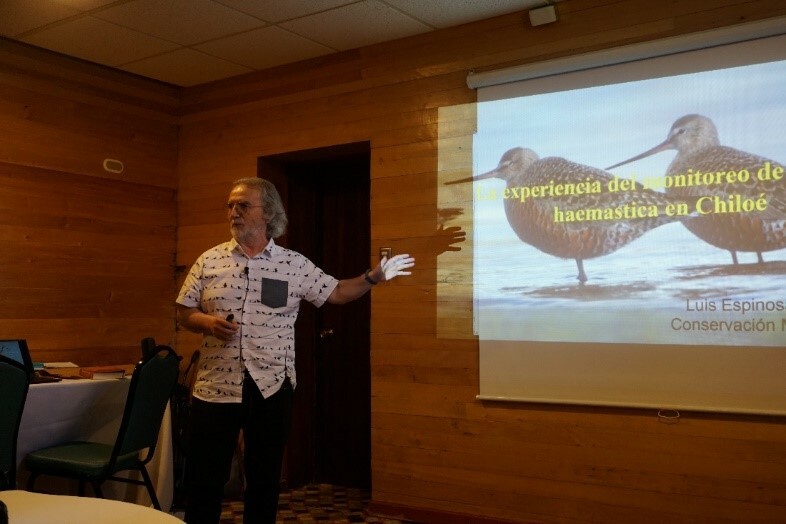 Our results confirm that Semipalmated Sandpipers that breed in the eastern Arctic and use the Atlantic Flyway also use the areas in South America where population declines have been detected, suggesting that declines may be concentrated in populations along the Atlantic Flyway and in the eastern Arctic. 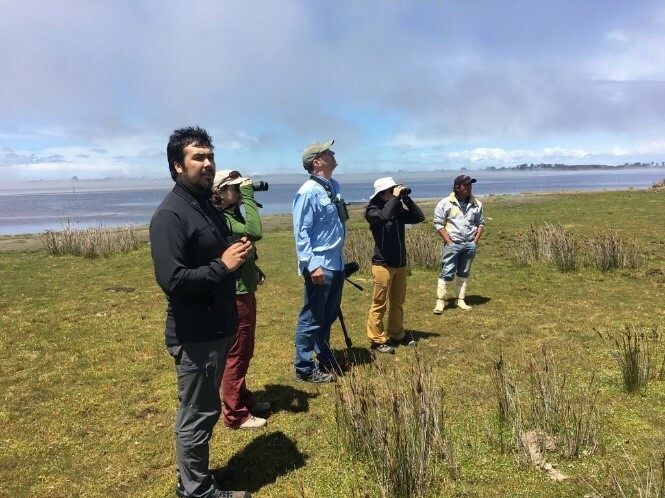 However, because some birds from sites as far west as Barrow also used the areas in northeastern South America where declines have occurred, further work is needed to localize the geographic areas used by declining populations, and therefore the potential causes for the declines. 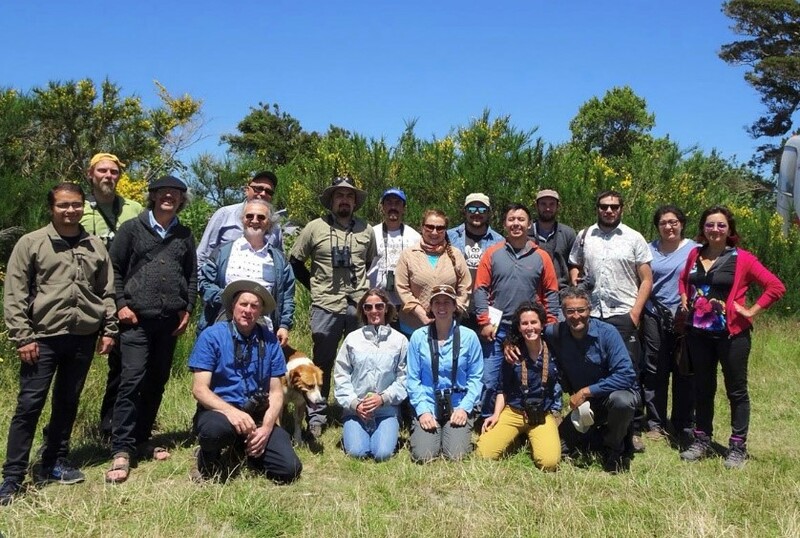 We identified several new stopover and wintering areas, where implementing conservation actions to preserve the habitats used by Semipalmated Sandpipers could contribute to protecting the species. 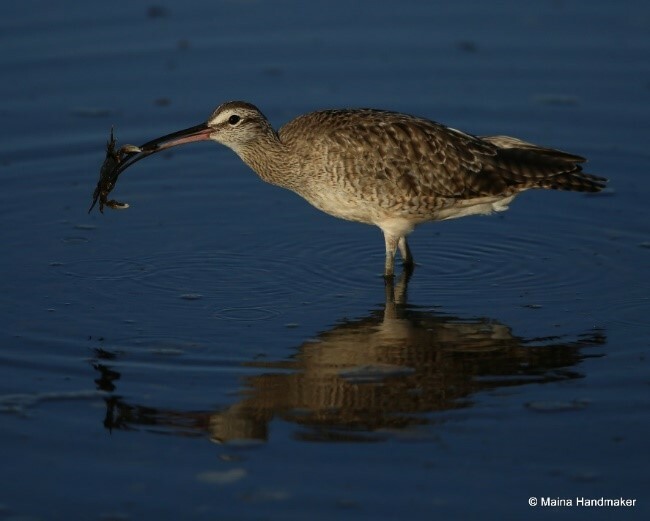 We measured a larger impact of geolocators on return rates than has been observed for larger shorebirds, indicating that caution should be used when working with small shorebirds, and that potential new information gains from additional geolocator studies should be weighed against expected impacts on individual survival. 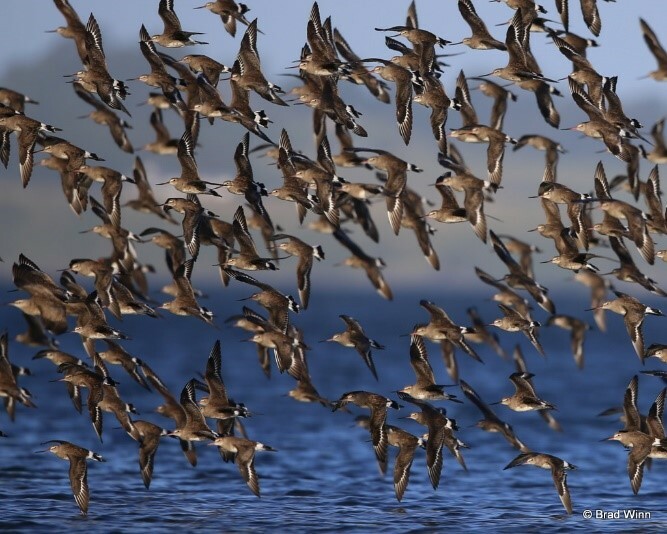 Our data also provided new insights about how long birds stay at migration stopover sites, which will be useful to studies that measure and monitor the total size of populations using these sites. 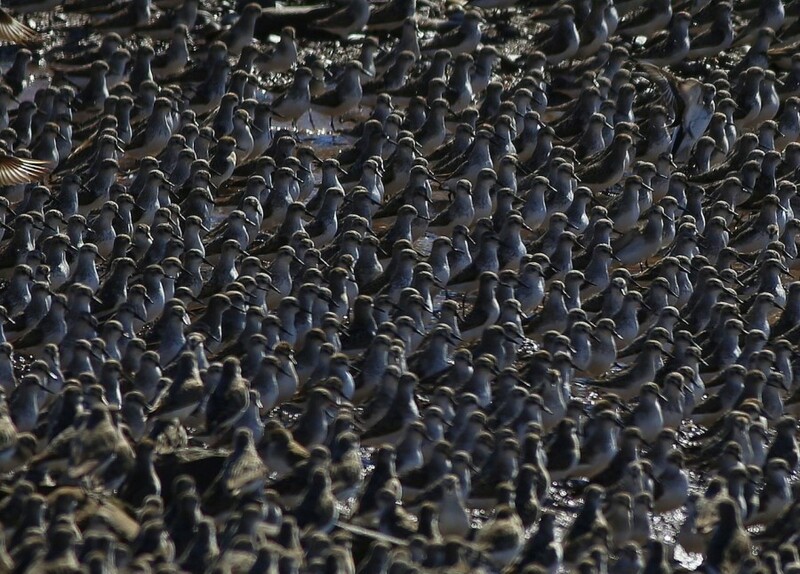 Understanding the connections between breeding, migration, and wintering areas for these populations of a widespread yet declining shorebird can help future studies to identify the causes of declines and ensure the effectiveness of targeted conservation efforts. 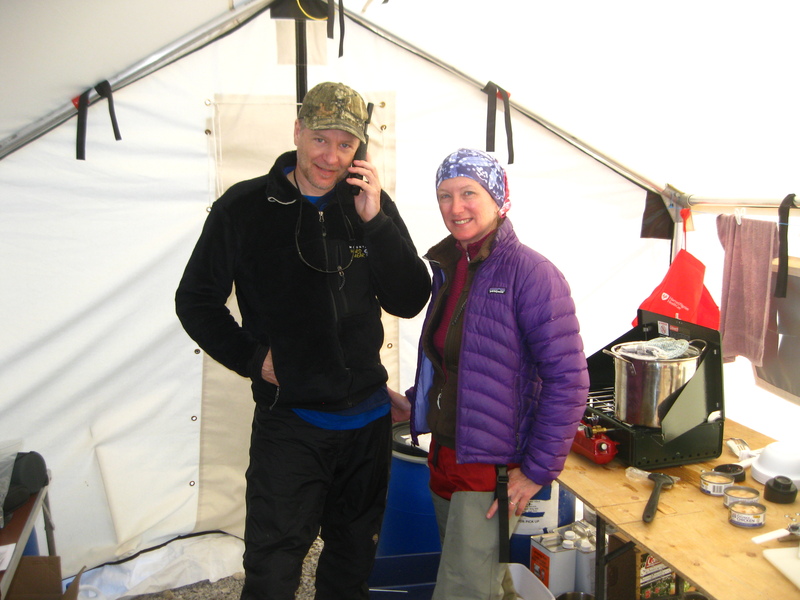 Each night we call the Canadian agency responsible for tracking field crews in the arctic to let them know we are safe and well. 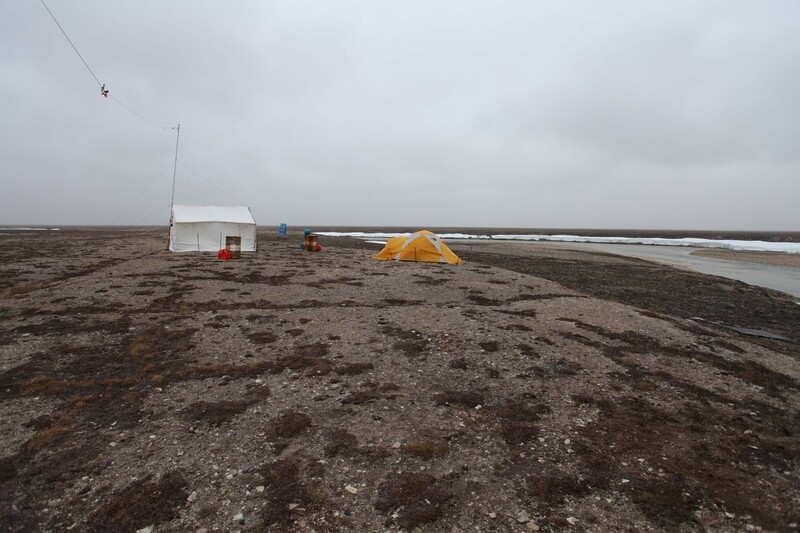 When we give talks about our work we are always asked what it is like to live in tents in tough arctic conditions where it can snow any day of the year and we must constantly be vigilant for grizzly bears, and polar bears. The conditions are often hard, but being in such vast wilderness, living in the most pristine land-based ecosystems on earth, fills us with an awe that more than compensates for the difficulties. On cold and windy evenings with storms approaching, we especially appreciate having shelter. At Coats Island we are sleeping in a small unheated cabin for the first time in more than a decade of arctic field camps. 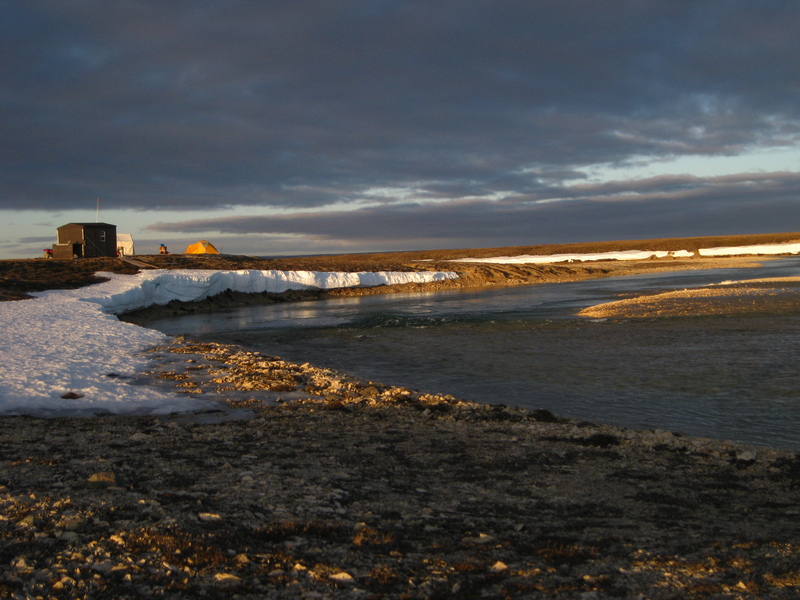 The Canadian Wildlife Service built cabins for researchers because of the many polar bears that spend their summers on these islands in Northern Hudson Bay after the ice melts. Having a foam mattress on a plywood bunk is a great luxury! Our kitchen, chairs, and work table, at which we write these posts on a laptop run by a generator, are in a canvas wall tent. 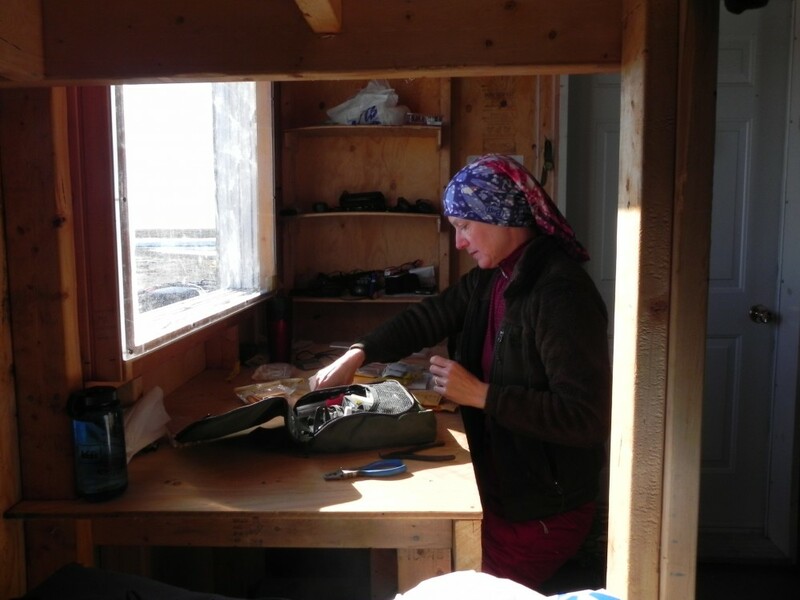 In the Arctic Refuge we work and sleep in tents because it is a federal wilderness area and we are required to pack in and pack out everything we need, and to leave no trace when done. The cabin needs to be secured with to survive the harsh winter winds, and the ropes needed many repairs while we were there, to see the camp safely through another year. The hardest thing about the arctic for most of us is not the cold but the wind. It blows 20-30 mph most days, more during storms, and is often gusty above those baselines. The constant howl, flapping of tent walls, high pitched whine of guy lines, and struggle to walk in strong winds are incredibly fatiguing. When the temperature is below freezing and it is foggy, which is often the case on the Arctic Ocean coast, the wind turns fog into little crystal pellets that relentlessly sting your face. 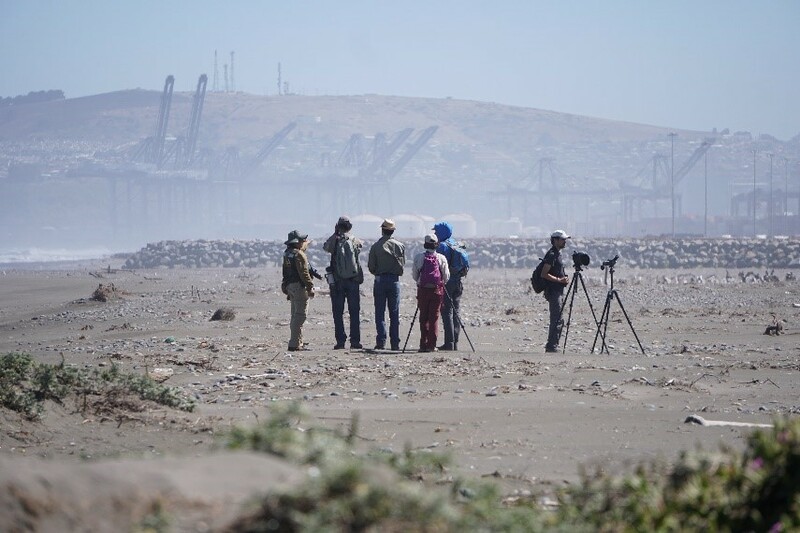 It is also quite challenging to focus on tiny birds when both our binoculars and their flight are buffeted by strong winds. Every night we go through all of our banding supplies to make sure we have everything we need in the field for the next day. Metta gets the kits ready with special attention to detail. We cook on a two burner camp stove run either with propane or white gas. Dinners are generally simple, one-pot affairs when possible. Our staple breakfast menu revolves around hot water: coffee, tea, and oatmeal with a variety of toppings. Lunches are sandwiches, pilot bread and canned fish, and plenty of snacks to get through long days in the field. Some days we use a stove-top camp oven, tricky aluminum boxes that are hard to heat evenly, but once mastered enable much appreciated treats when we have the time and energy: cookies, coffee cakes, biscuits, brownies, and even pizzas! Everything tastes better up here. At most camps setting up, cleaning, and replenishing water filters from a river or pond to slowly drip throughout the day while we work is a major camp chore. At Coats Island the river water is so pure that it doesn’t need filtration, a marvel in the 21st century. 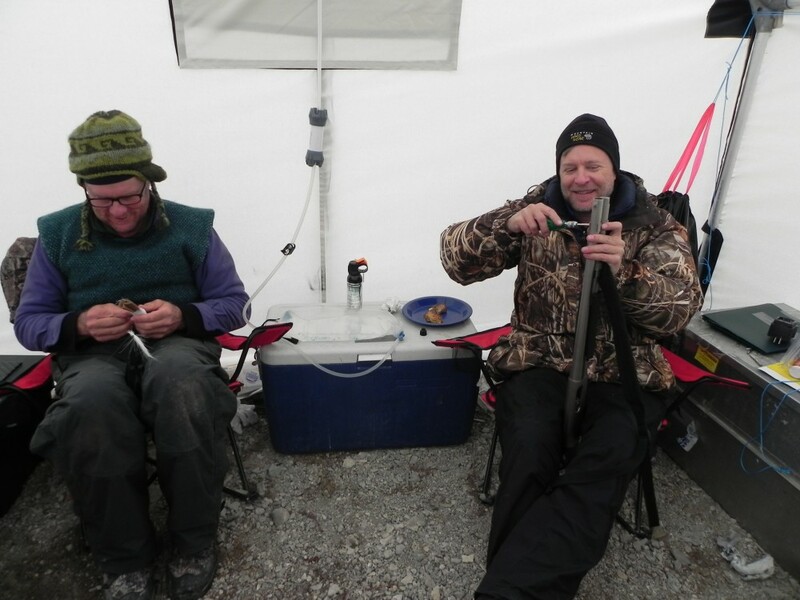 Cleaning guns is a regular chore in camp, so they will be ready in a pinch. Nearly everyone is curious how we handle our bathroom in the wilderness, though most are too shy to ask. In the tundra where there are no trees for cover, and our crews are equipped with the world’s best binoculars, politely turning one’s back when a teammate drops behind or moves off is an unspoken norm. In wilderness camps where we pack everything out we use “wag bags,” large sealing bags with enzyme powder inside that we set up in a portable loo and replace the bag as needed; paper is burned in a tin can. An especially lovely sunset around camp, and a moment to pause and reflect on our surroundings. Most camps construct some kind of shield around their loo, or “biffy” as it is called here in Canada. At the Canning River it is made of half sheets of plywood and has a lovely river view. Here at Coats we have a 3-sided tripod structure with blue plastic tarp wrapped around it, and a 2×4 frame for a brand new comfortable seat. Another luxury. Our biffy overlooks a deep bend in the river where it would be easy to be surprised by a bear; for that reason we designate one of our four shotguns as the “loo gun” while in camp and always take it with us. Probably not too many people carry a 12 gauge with 2 ¾” rifled slugs when they visit the loo! In past years the CWS crews have been here later in the season when the mud dries out. Although the walking is difficult, we all appreciate slowing down to the natural pace of the world around us. Having this short reprieve from the relentless multi-tasking of “normal” life makes “normal” look quite different. It seems to take at least a week to get into the rhythm of life here, and although we work long days and it sometimes feels hectic, watching the life around us for hours every day is a powerful antidote to the pace of life back home. 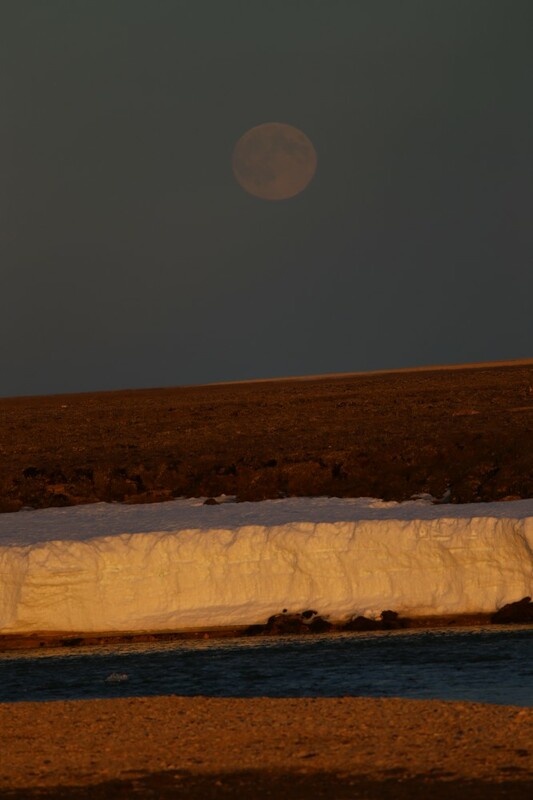 We rarely see the moonrise in the arctic, because the sun is usually up, but this lovely moonrise was a rare treat. Perhaps the most magical aspect of working in the arctic in the summer is the midnight sun. In the Arctic Refuge the sun never sets while we are there, it circles the sky creating beautiful rosy and golden light for many hours every night. The birds are active then, and listening to Pacific and Red-throated Loons in the long light of an arctic summer night is an indescribable thrill. We find it difficult to go to bed on nights when the clouds and fog lift, suffusing the tundra with a soft magic that nourishes something deep within us. The sun dips below the horizon for a few hours at Coats, giving us our first arctic full moon rise over the river a few nights ago. We fall silent at such moments, each of us filling a place inside that renews us in the moment, from which the memory can sustain us in the months ahead. 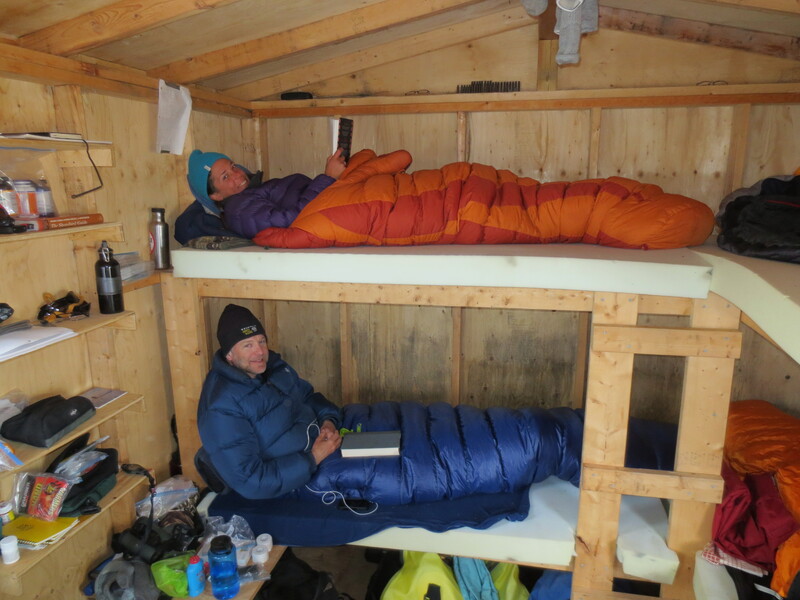 At the end of a long day, having a cabin to sleep in is a real luxury compared to our many years sleeping on the arctic ground in tents.